Note on label centre of side A: "From the mountains to the beaches when we dance we live in peace!" 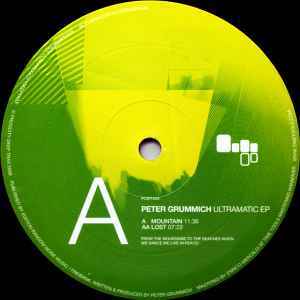 © 2008 ProgCity Deep Trax 2008. Published by Freibank / Edition Random Noize Musick. Distributed by Topplers (Paris, France). Mastered at Time Tools Mastering (Hannover, Germany). Master cut at Schnittstelle (Frankfurt, Germany). Mountain is a beautiful piece of dreamy deep house, sends you on a proper journey, very soothing, although i think it would take on a whole different persona on a large sound system as that bassline would come to life, Lost on the flip is more peak time fare, but the A side for me every time.